If the US were to supply Ukraine with ammunition and weapons, it would “explode the whole situation” in eastern Ukraine and Russia would be forced to respond “appropriately,” Russia's Deputy Foreign Minister Sergey Ryabkov said. “It would be a major blow to the Minsk agreements and would explode the whole situation,”TASS quoted Ryabkov as saying. The deputy foreign minister's statement follows a renewed call by Ukrainian President Petro Poroshenko for the US to arm Kiev forces. Poroshenko made the most recent comments during a conversation with US Vice President Joe Biden. The head of the self-proclaimed Donetsk People’s Republic, Aleksandr Zakharchenko, told reporters on Monday that the US is already supplying Kiev with ammunition and weapons on a “large-scale basis,” noting that pro-government forces are not looking for peace. Ryabkov added that there is a possible meeting in the works between Russian Foreign Minister Sergey Lavrov and US Secretary of State John Kerry, stating that it could take place next week in Geneva. “Rather high chances are present that the Russian foreign minister and the US secretary of state will be in Geneva the next week due to the schedules of each of them. Probably, it...implies that they will meet in a bilateral format,” he said. Meanwhile, Russian President Vladimir Putin stated in his latest interview that the leaders of France and Germany genuinely want to find a compromise that would help end the conflict in eastern Ukraine. 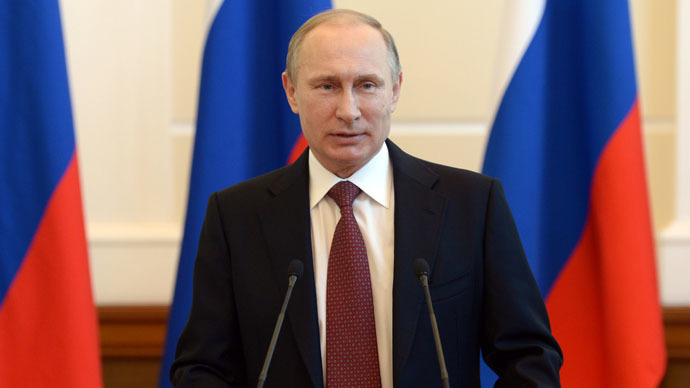 “I had the impression that our partners have more trust in us than distrust, and in any case believe in our sincerity,” Putin noted on Monday. On Sunday, Kiev’s military and self-defense forces in eastern Ukraine announced they would withdraw heavy weapons from the frontline following Saturday’s exchange of 191 prisoners. The process is set to be completed by March 7 under the terms of the truce. OSCE monitors are now waiting for the documented evidence of the pullout, such as inventory lists, routes, and locations of the weapons. The deputy commander of the Donetsk Defense Ministry, Eduard Basurin, said that the self-defense forces in Donetsk and Lugansk will begin the withdrawal of heavy weapons from the frontline in eastern Ukraine on February 24. He also confirmed that more than 30 pieces of heavy artillery have already been pulled out as of Monday. 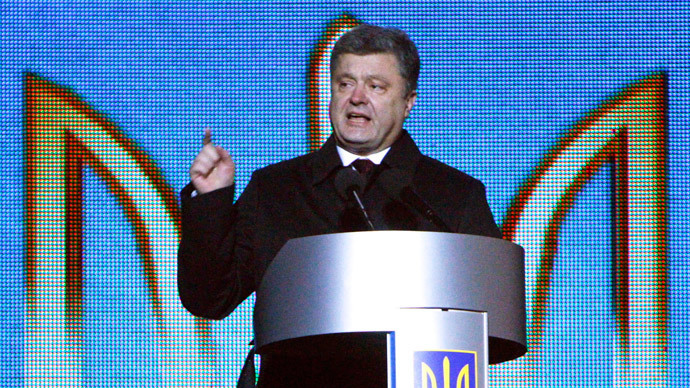 On February 12, the leaders of Russia, Ukraine, France and Germany approved the long awaited peace deal in Minsk. 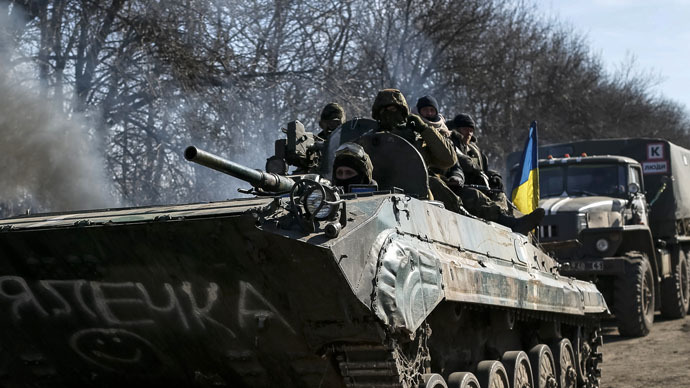 The agreement introduced measures such as a ceasefire – which commenced February 15 – a pullout of heavy weapons, and constitutional reform in Ukraine by the end of the year. Meanwhile, Ukrainian President Petro Poroshenko has signed a law ratifying the creation of a joint military unit with Poland and Lithuania. The unit is set to carry out tasks which have been given a UN Security Council mandate. Earlier, Moscow criticized Kiev's plan to invite an EU police force under the bloc's aegis for a peacekeeping mission in war-torn eastern Ukraine, saying the move would undermine the Minsk ceasefire agreement.